The assessment of Auslan competence is essential for understanding and supporting the language and learning needs of signing deaf students in their educational programs. 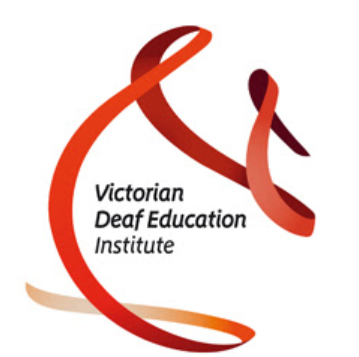 In 2016 VDEI partnered with Associate Professor Adam Schembri and La Trobe University to publish the first standardised assessment tool for Auslan. The Assessing Auslan Development tool has been adapted from the Assessing British Sign Language Development: Receptive Skills Test and the Assessing British Sign Language Development: Production Skills Test and measures the Auslan competence of children aged between 4 and 11 years. Analysis of assessment results enables professionals working with children who are deaf to make a baseline assessment, identify language difficulties, and evaluate the outcomes of therapy programs. This two day training program provides an opportunity for educators and allied health professionals who are fluent in Auslan and are experienced in working with assessment protocols, to be accredited to use the Assessing Auslan Development tool. Participants must complete the training course and be accredited by the registered trainer in order to use the assessment tool. Please note: Participants should have advanced signing skills as the training program is delivered in Auslan. The program is directed towards professionals working with deaf children between the ages of 4-11 years who use Auslan as a first language or children who are learning English and Auslan concurrently. Cost: $450 Training $800 Training plus kit. Adam Schembri PhD is Reader in Linguistics in the Department of English Language & Linguistics at the University of Birmingham, UK. His research and teaching experience has encompassed a number of areas in sign language linguistics, including work on aspects of the lexicon, grammar and sociolinguistics of Auslan (Australian Sign Language) and British Sign Language. He is the co-author (with Trevor Johnston) of ‘Australian Sign Language (Auslan): An introduction to sign language linguistics’ published by Cambridge University Press. All day paid car parking is available in close walking distance to VDEI. For prices, please check their website.